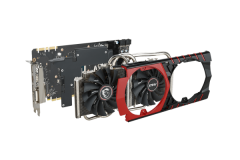 The NVIDIA GTX 980 GPU was the final high end GPU released in 2014 and it made a splash in terms of performance per Watt. 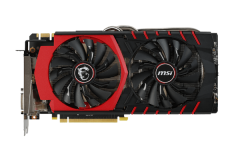 MSI have slapped their new Twin Frozr V on it and provided us with an MSI GTX 980 Gaming 4G card to check out. 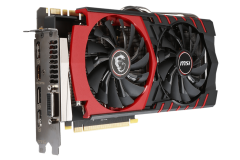 As Gamers, we crave quick refresh rates, high resolution and all the eye candy developers can give us – as such, we expect a lot from our graphics cards and in many cases, we need 2 of them to get what we want. 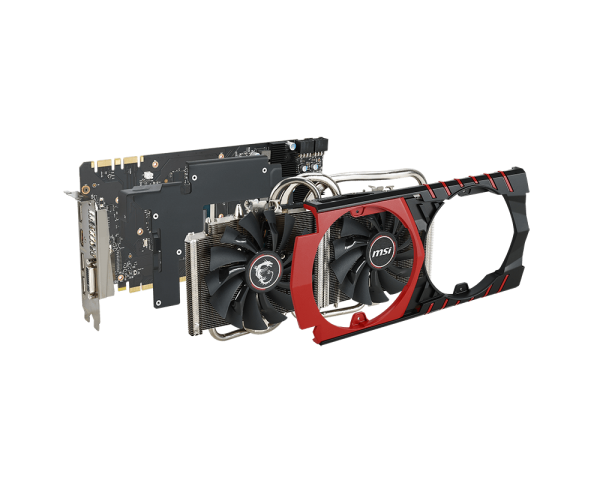 Many gamers will spend more on their graphics card than any other component in their rig and it isn’t hard with mid range cards starting at around $280 and ultra high end cards going up over the $1,000 mark. Thankfully there are a lot of options in between the mid range and the crazy enthusiast graphics cards. 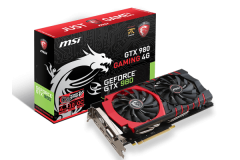 The GTX 980 sits at the high end of the scale and MSI’s GTX 980 Gaming 4G version is priced in the middle of the pack when you look at the GTX 980 cards available. I remember the days where I needed to go for higher rated power supplies and improved case fans to cope with the performance cards. When NVIDIA released their Fermi architecture, we got blistering speed but we also had increased heat and power requirements, then we saw the Kepler series hit the shelves with the expected performance bump but also an improvement in heat and power efficiency. NVIDIA’s new Maxwell GPUs are the most impressive step forward in recent times of high performance graphics cards that use even less power and run cooler/quieter than before. This is significant for the small form factor builders where heat and large power supplies are the enemy. It is also great news for those of us who want performance and silence at the same time. More good news comes in the form of the 4GB of DDR5 video memory on the GTX 980. This is currently overkill for most of us but as 2560×1440 and 4K displays are getting cheaper, it’s great to know that the GTX 980 will be able to drive them without choking. In my personal rig, I run a pair of GTX 670 2GB cards and although there is enough grunt to run a 1440p display, the 2GB limit has been hit a few times. Remember that SLI might almost double your graphics horsepower but it doesn’t double your video memory so high resolutions or crazy texture packs are likely to need that 4GB one day. 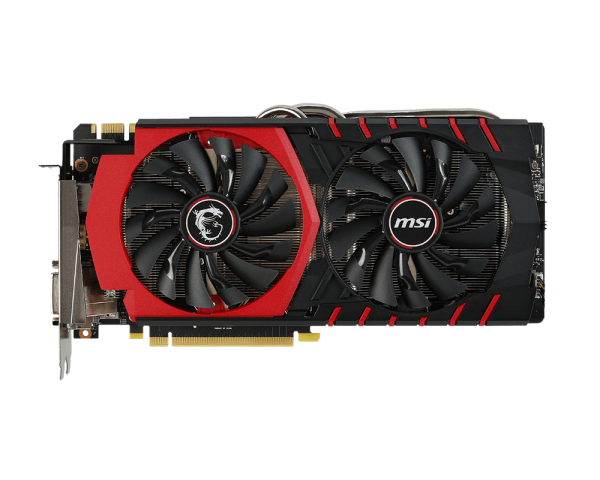 Back on topic… The MSI GTX 980 Gaming 4G is the top GTX 980 graphics card currently available from MSI and it remains to be seen if they will release a ‘Lightning’ edition. As per the rest of their “Gaming” series, the theme is red and black with the trademark dragon making a big appearance on the box but only 2 subtle appearances on the card itself. 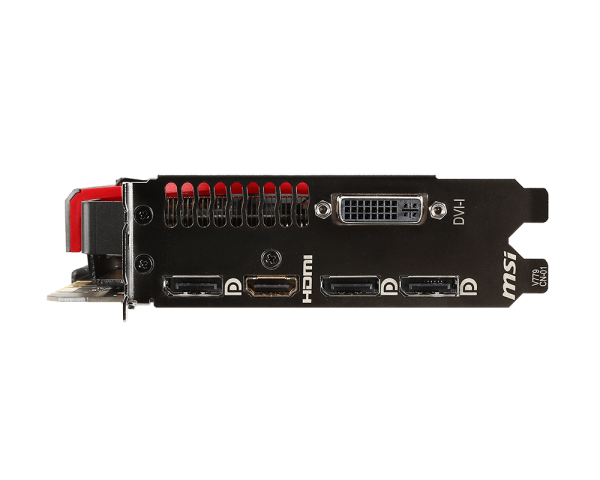 When I first saw the graphics card at PAX late last year I thought it looked thinner than the GTX 760 HAWK with the Twin Frozr IV cooler and the MSI rep confirmed that it was – but only by 4mm. The heat pipes are big and there is a bit of an optical illusion as well that makes the fan shroud look smaller but it’s great to see the cooler thinner for those who want to use multiple cards in SLI. 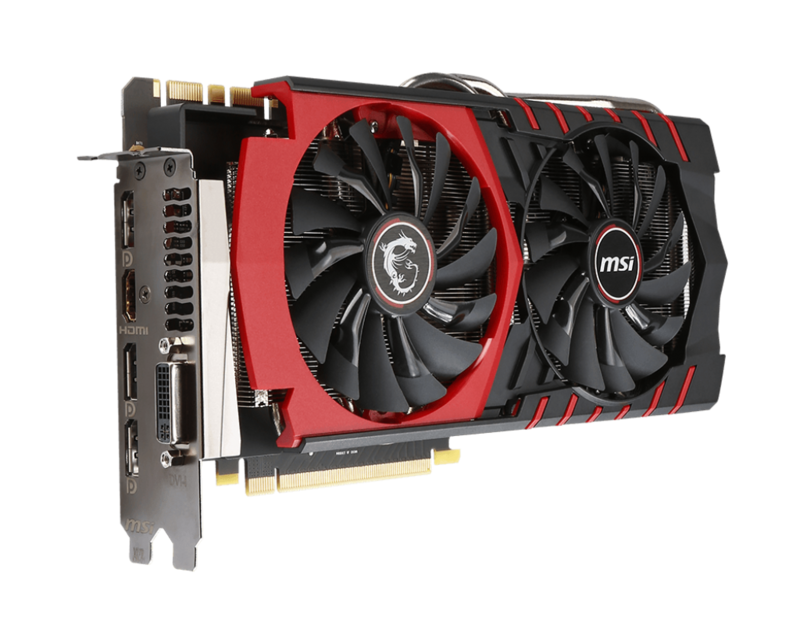 MSI are very proud of their latest Twin Frozr V cooler and with good reason, it’s more effective than the last version, makes less noise and can even run passive at idle on the top of the line GTX 980 GPU. We see that the power connectors are oriented so that the clips are toward the PCB side of the card and easy to get to. We have seen these facing the other way on other cards and it can be difficult to get to them with aftermarket coolers like the Twin Frozr. This is good design and an improvement from the GTRX 760 HAWK. 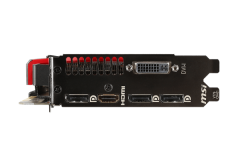 It would have been good to see a back plate and we wonder if it was left off to keep the width of the card slimmer for SLI. 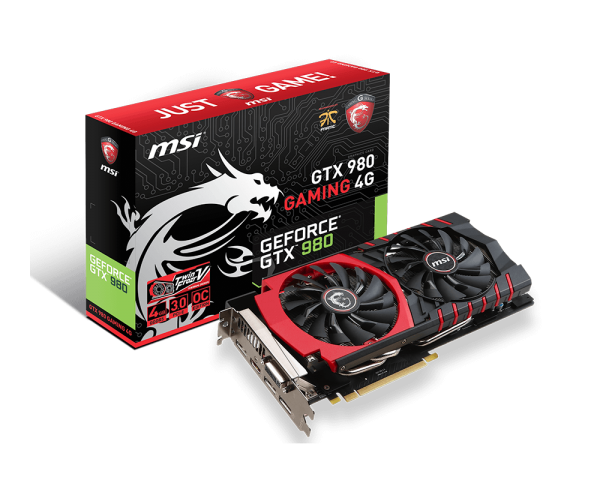 The MSI GTX 980 Gaming 4G promises a lot and we were very keep to put it though its paces and check out the performance, heat and noise results because you know what they say about things that look too good to be true.